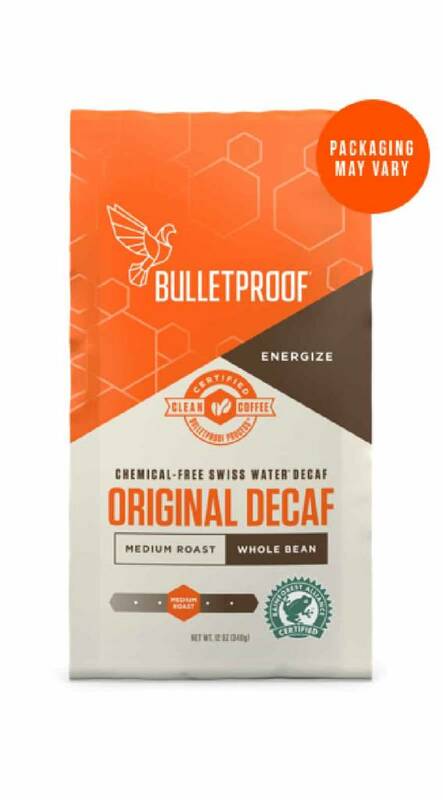 The Original Upgraded™ decaf coffee of The Bulletproof Executive. One pack contains 340 grams of ground decaf coffee. What is Upgraded™ Decaf Coffee? The Upgraded™ coffee is the result of a pursuit by the American Dave Asprey to find the best coffee beans in the world. After 10 years of research, he was able to identify the toxin formation in the production process of coffee. He excluded these toxic substances to get the perfect source of beans that always make you feel great. You can make black coffee or coffee with Bulletproof® grass butter and MCT oil (it is called Bulletproof Coffee). 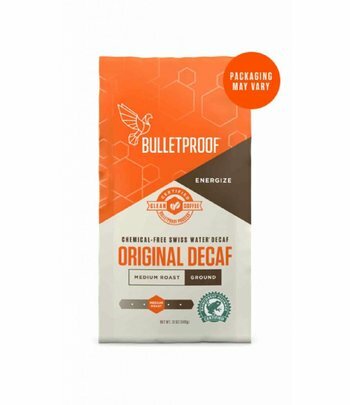 See the movie below how Bulletproof Coffee is prepared. Upgraded ™ coffee will not only make you feel better, it also tastes delicious. The coffee has a fruity aroma with hints of apple, berries and vanilla. It’s coffee with a full body, a taste of caramel and a creamy finish. One pack of Bulletproof Upgraded Decaf Coffee contains 340 grams of ground coffee. How are the beans of Upgraded ™ Decaf Coffee processed?